Fartun, a student at Takoda GED, is now a published author! Fartun enrolled in the Takoda GED program last summer. She had already earned her high school diploma, and she wanted to keep working towards her goal of becoming a social worker. Before enrolling in college, she needed to increase her proficiency in academic English and raise her Accuplacer test scores. 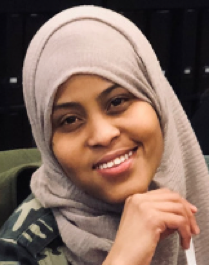 Fartun had tried other adult education programs, but she preferred Takoda GED because of the individual attention she received from the staff and volunteers. Fartun attended our program for an impressive 400+ hours until she began courses at Saint Paul College in January. While working in our classroom, Fartun wrote a moving essay about her personal hero, her grandmother, Faiza. Her teacher suggested that she submit it for publication in Journeys, the Minnesota Literacy Council’s anthology of writing by adult students. Fartun’s essay was accepted, and she is now a published author! Fartun will read her essay at a special event at the Minnesota History Center in Saint Paul on Tuesday, April 30 at 7:00 PM. All are welcome to attend by registering here. Note that museum admission is FREE on Tuesdays after 3 PM. Exhibits include Minnesota’s Greatest Generation, Then Now Wow, and Grainland. The special exhibit Somalis + Minnesota is open through June 9. 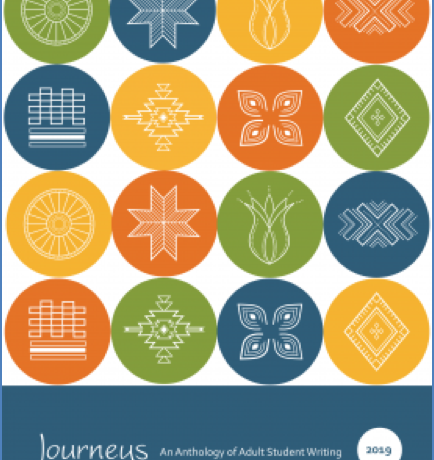 More information about Journeys, including how to purchase your own copy, is available at https://mnliteracy.org/journeys. Alumni Spotlight - Larry K.